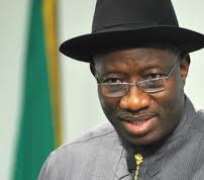 President Goodluck Jonathan on Monday led a team of government officials to a meeting with the leadership of the striking members of the Academic Staff Union of Universities. The over meeting, which lasted for over 13 hours, was held by President Goodluck Jonathan with executive members of the Academic Staff Union of Universities (ASUU) ended at 3.35am on Tuesday morning. The ASUU executives told reporters who had kept vigil at the State House that they would take the president’s message back to their members. Though they came out smiling, the president, Dr. Nasir Fagge, did not say what the message was when he spoke with the correspondents. The Labour Minister, Emeka Wogu, who also spoke with the press, just said what was discussed did not go beyond the 2009 agreement. The meeting was held inside the First Lady Conference Room, Presidential Villa, Abuja. It was aimed at finding a final resolution to the strike that started on July 1. The President was joined at the meeting that started at 2.40pm by Vice President Namadi Sambo; Minister of Finance, Dr. Ngozi Okonjo-Iweala; Secretary to the Government of the Federation, Anyim Pius Anyim; Supervising Minister of Education, Nyesom Wike; and Minister of Labour, Emeka Wogu among others. This level of representation is an indication that the Presidency is throwing everything to see to the resolution the strike which has been very damaging to its reputation. The Senate had in a resolution last week, mandated Mark to mediate in the crisis occasioned by the non implementation of the 2010 agreement between ASUU and Federal Government. The union honoured Mark's invitation on Monday when they presented their position. The ASUU leadership met with the Senate President before the crunch meeting with President Jonathan. Mark had ensued for a win-win resolution to the industrial action. Senator Mark, who led the ASUU representatives to the Presidential Villa after the meeting regretted that the strike, has lingered for the past 4 months. The president of ASUU, Dr. Nasir Fagge expressed optimistism that the mediatory efforts by the Senate President would yield positive results. ASUU has been on strike for more than four months to enforce the implementation of details of the Memorandum of Understanding (MoU) it signed with the Federal Government in 2011.